Our ancestors were riding on a horse and that is still in our blood, both children and adults want to jump, rides, race on a horse. In our daily life, we can’t do Horse riding or jump on a daily basis. 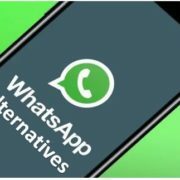 But there is something we have in our hand that can do it for us i.e called Smartphone. You can full fill this dream virtually by downloading a horse racing games on your Android device. The horse is an ultimate animal that is an icon of strength and power. 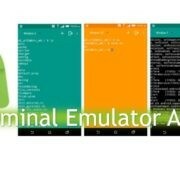 So if you are a fond of Horse racing games then you can enjoy it virtually on your Android Smartphone. 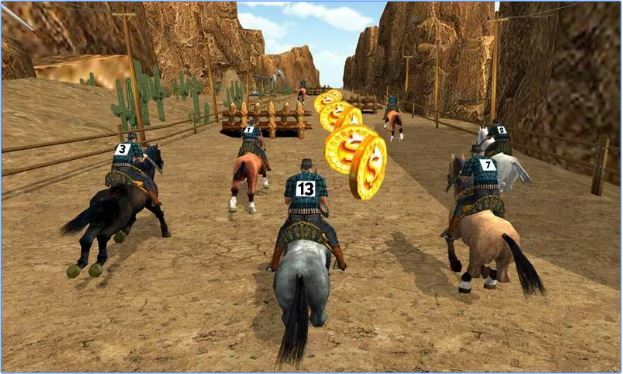 Here are some Horse riding games which we have compiled to full fill the real horse games playing dreams. This horse racing game has the immersive 3D graphic environment. It gives a realistic horse look and allows you to join the real world of horse racing. Horse Racing 3D is a racing simulation game. 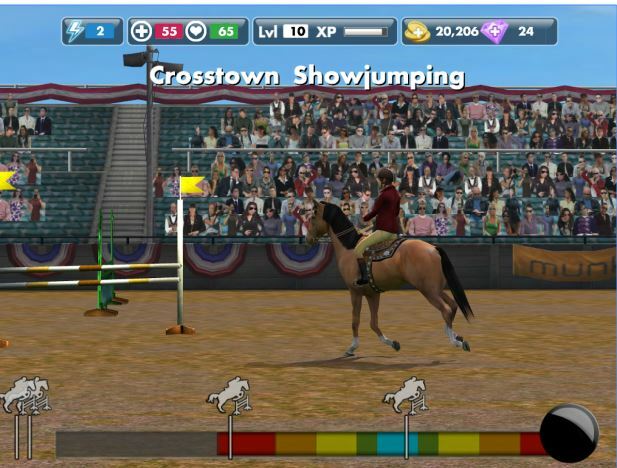 Jump your stallion horse over the obstacles and riding to dodge in the fierce competitions. 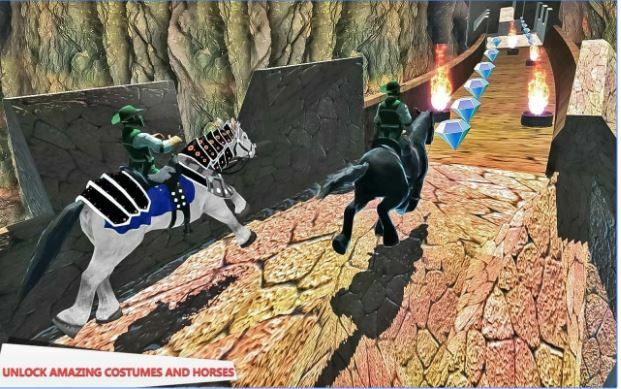 This 3D Horse Racing game features intuitive tile or touches controls to steer your horse and 60+ challenging courses to compete. The Temple Horse Run, riding a horse run in a temple to save his beautiful princess. An ancient temple is waiting for you to adventure. A horse rider ghost chasing you with his heavy hammer is a scary scene. If you looking for a horse game for small girl or boy then this horse runner games is specially designed for kiddies with tons of passion. So tie yourselves up as the ‘horse lovers’ and start playing this dashing horse game totally designed with attractive and dreamy backgrounds, grasses, and obstacles like cliffs, broken grasslands. 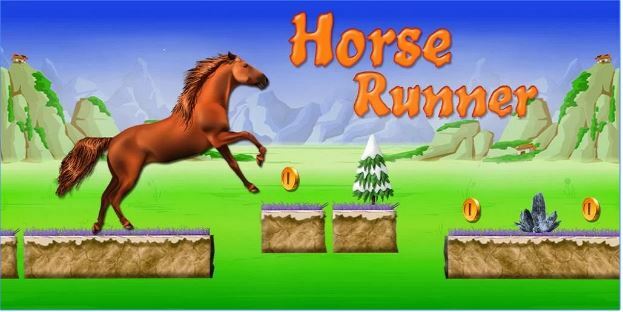 Horse Runner game features ­beautiful environment, Plug and play, One button Jump style, Blaze Runner, Smooth rendering, Unicorn themed game, Night Star effect, Amazing sound and soft background music, Jump to avoid Spikes. My horse game is a 3D game where you can groom, feed and train your horse. The camera movements are very good in the horse game and capture the pictures of your horse in action as it plays and eats in the paddock. Horse Run game is a good game for all kids and horse-lovers. It features two horses, one is Mystique and another one is Lisa. You can share the scores on facebook and twitter. 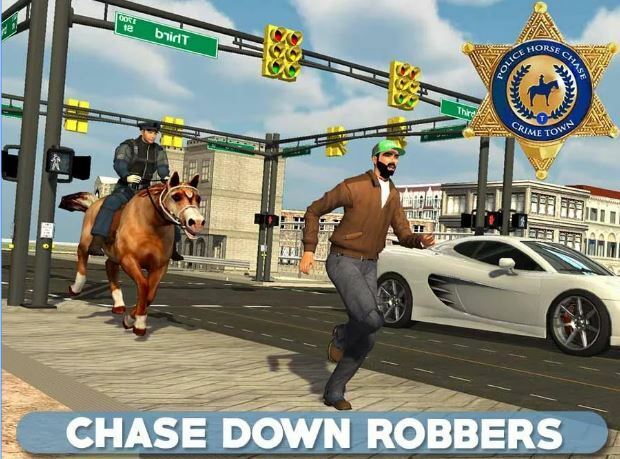 Run your Horse to chase the criminal. In this game, you are a policeman riding a horse to chase the criminals roaming around in the city. A new way to play horse simulator 3d game. Play something different from a simple horse running or police chase. Horse Racing Champion is a 3D realistic horse racing simulation game. 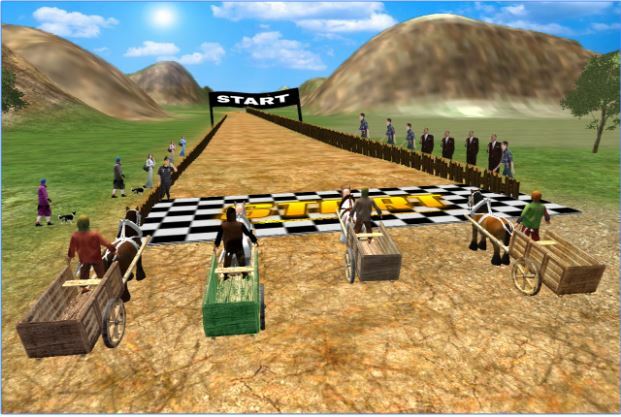 It simulates the real world of horse racing, ride and whip race horse to challenge against other world top horse racers. 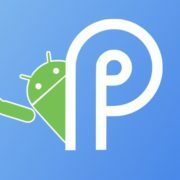 It features a Real 3D horse, Realistic animations of a horse race, Touch controls to steer your horse, 8 tracks, 8 unique horses and 20+ challenging horse race courses to compete. 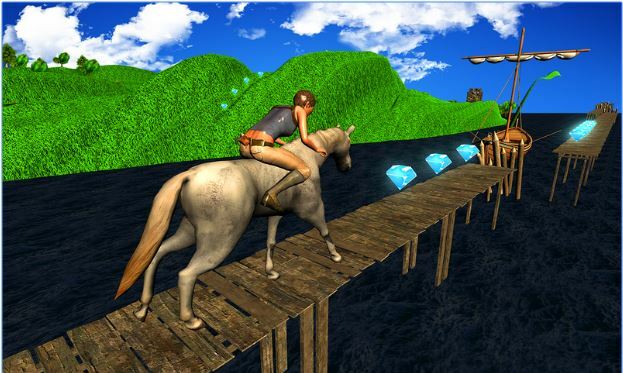 This 3D Horse run game is based on Jungle environment that makes the gamer wilder. Jungle Horse Runner 3D run to escape from the jungle but a ghost monster is awake and the chase begins. Your horse has gone wild and running over hurdles. The ghost is also a horse rider and is chasing you same like the Temple run game. 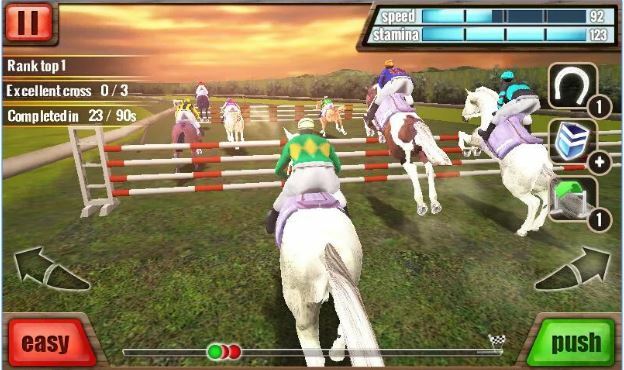 It is another Horse racing game which is a mixture of two popular games Temple Run and Subway Run. Run your horse through the mysterious and ancient temples to hold secret coins. 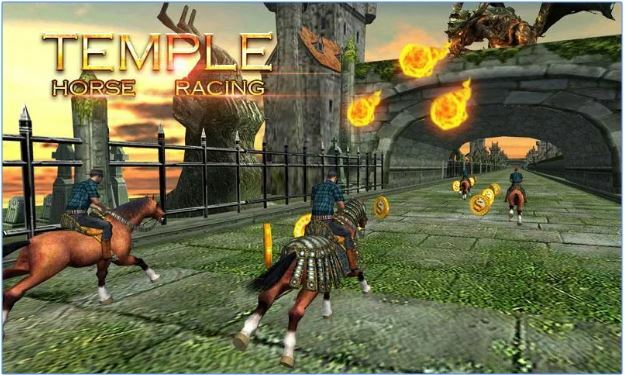 Temple horse racing game is the most exciting game on the Google play. 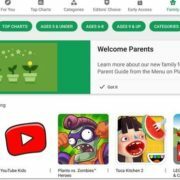 Theses are some best horse racing games for Android, if you know someothers please let us know, we will add them in our list. Horse Racing 3D is one of the best game.. I have been playing this game from a very long time. Seriously awesome.